Hobbies well m+ but that is wow, so not really anything. Sometimes play dnd with some friends. Other than that working abit and going to uni. The talents that i am using right now, give me the best st damage. Ofc i can chance my level 90 talents, for something other than comet storm, if there maybe are some small adds on the boss fight, i well go with splitting ice, so i can just stay on the boss. The only rows that i am chaining my talents are 60, 90 and 100. Crit is the best for me right now, it helps my spells to proc a lore more, and then comes haste. haste is more important on AOE than on ST. but crit is my best stat. Wowlogs, wowhead, discord and streams. 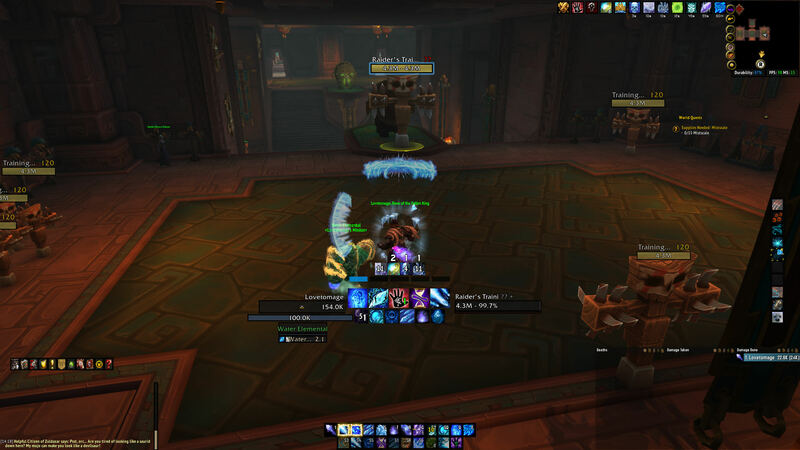 I startede raiding really in legion, joint a guild that want to do curve, then that turn out to be not enough, and then that same guild startede doing mythic. went 7/7 HC EN 3/3 HC TOV 6/10 M NH 5/9 M TOS 9/11 M Antorus with the same guild, Norsca. Also did some casual raiding in WOD. Right now i am 5/8 M Uldir with Norsca. Norsca stop raiding because of problems with the roster. Knowledge of the fight, flask, pots and my own food. I well look at strategies, and if the guild put up some i well look at them and understand them. Pretty good, but dont have the best gear for it. Always fun to do progress. I want to found a guild for 8.1, and you guys look good, and Nagassh was pretty nice. yes, m+ and m+. I play alot. Not really, i want to do my best as a raider and want to get to the end goal as fast and best as possible. - to speak with the idiot. Thanks for applying. We'll get back to you in a few days once our members have had time to discuss your app.